The last week has been rather bleak weather-wise, so being tied to the PC has not been an unattractive option. A number of fellow F aficionados have contributed photo collections and drawings, and I have made considerable progress on both etching artwork and 3D casting patterns. All the big jobs are done. What remains is an awful lot of detail sorting, prototyping and test builds. As the title intimates, this growing knowledge has also resulted in a number of rethinks and reworks as a clearer picture of the way forward emerges. My collection of GAs now numbers 4 with Neilson, Dubs, Vulcan and Stephenson now on hand (the latter courtesy of Tim Marshall). I’ve come to think that the Neilson, Vulcan, Yorkshire and Avonside engines were quite similar from a practicality of modelling perspective (ie ignoring things like windows and visible rivet placement). The Dubs locos were quite similar, but actually had longer frames to a visually distinctive profile and taller cabs. The Stephenson GA confirms that, in early batch original guise at least, these locomotives were visually quite different from the others in terms of cab/bunker design and the footplate valance. This persisted to an extent (see F243 in 1921, Miller pp 99), but most photos show that the distinctive Stephenson features did not last in later years. 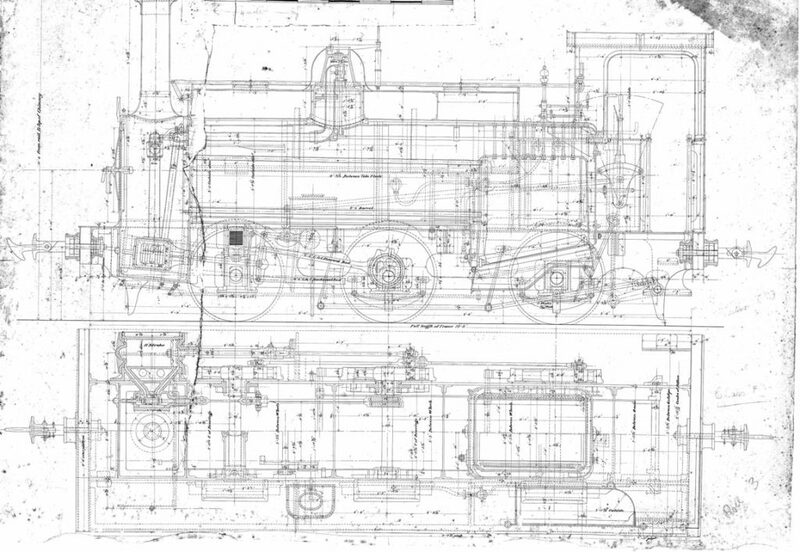 Kevin Crosado has offered the suggestion that ‘later’ locomotives had frames that were 3″ longer under the cab (similar to the Dubs GA). I’ve yet to find any hard evidence for this. The photo of Neilson F113 of 1878 in the last post looks like it has a Dubs style frame, but whether 1878 is ‘later’ I’m unsure. A quick look suggests Dubs locos were generally supplied after 1878, so perhaps this is a Dubs thing (Their GA clearly shows the longer frames), rather than a ‘later’ locomotive feature. I’ll review some photos on this. UPDATE: Having scanned all the photos I have to hand it rather looks like the 1885/86 (definitely ‘later’) batch of Stephensons were built with a Dubs style frame, footplate valance and cab. From a modelling point of view, therefore they can be treated as Dubs as far as parts go. This also explains my earlier comment that the Stephensons were diverse – more particularly the early and late batches were quite different. Notwithstanding the review of differences above and in the last post, comparison of measurements from the GAs shows that for the most part things like cabs and tanks were dimensionally the same (or close to it). 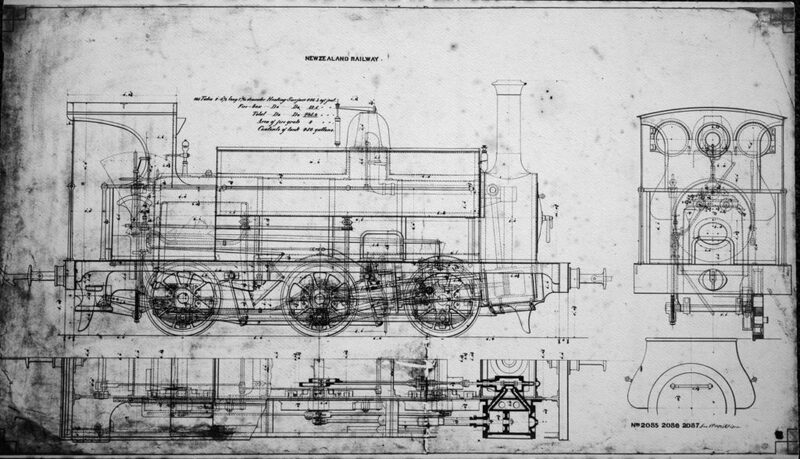 Additionally, from a fairly early date, NZR standardised on many items (such as rods, smokebox fronts, chimney, bunker extensions, sandboxes and so on). The good news from all this navel gazing is that it should be possible to produce a kit that allows a reasonable representation of most of the class later in life. For the antediluvian amongst us, who don’t mind a little scratchbuilding, it will also be possible to wind back the clock to the time of round windows and characters from Walter Scott. On the practical front a word or two on the proposed specification. Firstly, I recognise the need to simplify the build. No way I’m going to compromise the standard, but there is a desire to streamline building, preferably by removing the frustrating bits. So as usual the chassis is going to involve folding up some bits of nickel silver and soldering in PCB frame spacers. The latter will be pre-tinned, pre-gapped and precisely cut to width though. Running gear will be North Yard wheels/split axles with a custom pre-assembled gearbox from NZF with power from a nice coreless motor. There is no outside motion to worry about, but I’m working on a slidebar design that should be easy to assemble. The chassis will be compensated – easy to do and improves power pickup and surefootedness enormously. There will be a metal wheeled finescale option too. Under the footplate will be a PCB (a Mark Andrews idea) that incorporates all the connections for DCC with sound. There will be a sugar cube speaker between the frames and a 10 pin plug/socket arrangement in the smokebox to allow fitting the decoder in the tank. LED or incandescent light will be easy to fit from the board. The F footplate board in development. The front of the loco is on the left with DCC connector pads in the smokebox with pads for power and headlight connection. LED resistors mount in the right hand bunker. Motor connection is currently in the bunkers too, and speaker/rear light connection under the backhead. It may look complicated, but what it means is virtually no wiring. Tanks will be resin prints or castings with your choice of rivet pattern and they’ll be sufficiently hollow to add substantial weight. There will be a proper boiler, with light under it! Cab will be etched much like the W. As usual glazing will slide into slots for a perfect finish. There will be a one piece 3D printed backhead. Smokebox design has been simplified compared to earlier offerings, and structural etched parts will all fit via jig or slot and tab. There will be a good range of detail castings/3D prints for the various details. Probably the kit will be offered as a base version (the simplest to build), and a pick and mix version for those who want something specific in terms of detail choice. Finally, the specification of the kit will be influenced by feedback and interest. I’ve had quite a bit to date, but feel free to comment and influence the form of the NZF F locomotive kit. A number of good things here. I like the open mindedness asking for comment and input, beneficial to both designer and purchasers. The idea of a basic model with various additional options is great as is the ability to possibly model any particular prototype loco particularly in their later form. Getting into such detail as varying rivet patterns on the tanks is perfectionism at its best and most definitely catering for the rivet counter modellers. The thing about rivets on tanks is that in the digital world they are so quick to do. Assuming tanks are printed individually (no final decision there yet – they are expensive that way), it is as easy to get it right as provide a generic. There will be compromise of course, but hopefully at a much lower level than previously.